Different I'll give it that. I would have thought earlier 20th Century? Cheers if you can offer any help. 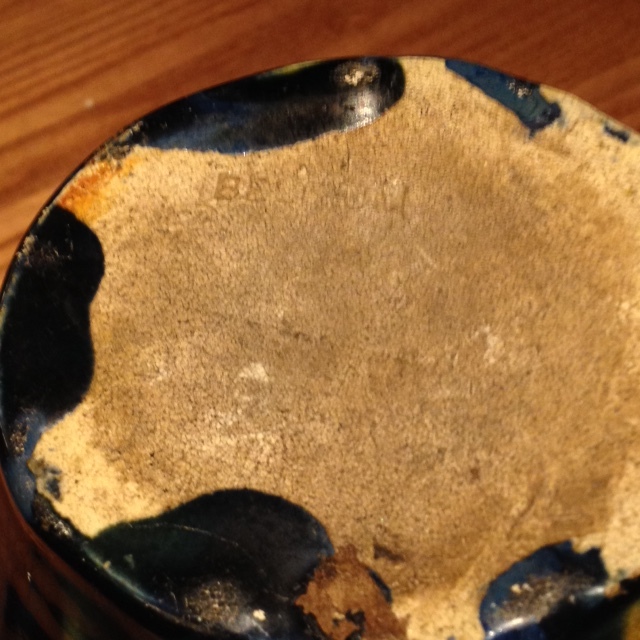 Actually I do kind of like the Arts and Craft about the glaze on it however not sure on the age at all because of the form and the base finish, 1930's is my gut feeling??? The base photograph suggests to me that it is pre-war and could be earlier than you think but looking at something in the "flesh" is always better than photographs. 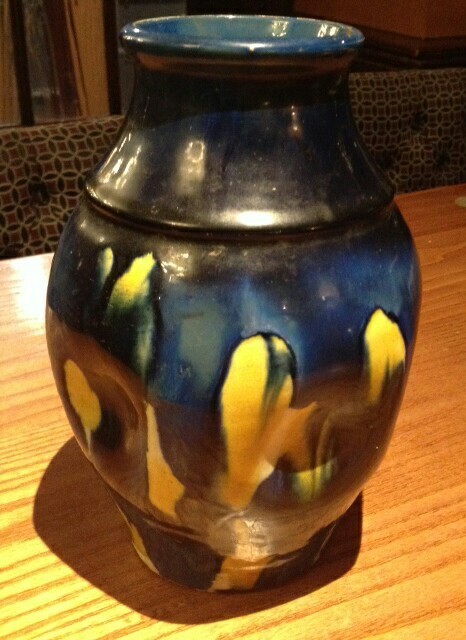 Could it be Belgium Faiencerie Thulin Art Pottery? Cheers, I had a look at some Thulin pieces, they seem to all be with a glazed over bottom and impressed with code numbers though?